Line Equipment build and install a range of VFFS or HFFS packaging machines designed to fill and seal bags with most products, including foods, cereals, nuts, seeds, powders, granules, ice cubes and much more. Our core business is the design and build of VFFS bagging machines, both intermittent and continuous motion, capable of filling various products, wet or dry, across a range of bag sizes and bag styles, including Doy style. Their easy wash down, stainless steel construction and optional MAP (Modified Atmosphere Packaging) gas flushing capabilities can make them a perfect bagging machine for food. We also supply ancillary packaging processing line equipment such as gantries, feed and take-off conveyors, volumetric fillers, counters, dosers, multi-head weighers, zip applicators and HFFS Flow Wrappers. Talk to us whether you need a standalone machine or a turnkey processing line. 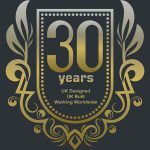 From our purpose built factory, centrally located at Moorgreen, Nottinghamshire, we offer professional solutions to your packaging needs built on 30 years of experience and the cutting edge technology built into the VFFS (vertical form fill and seal) bagging machines. With a friendly, knowledgeable approach to design, build and after sales maintenance, Line Equipment is an ideal partner for any company looking for stress-free packaging production from their packaging machinery. Follow the links below to access further information. It doesn’t matter what product you are packing, if it is suitable to be packed on a VFFS or HFFS packaging machine, we can optimise your machine as required. It doesn’t matter what bag style you are looking to package your product into, VFFS and HFFS packaging machines cater for most bags types, without or with zips, and we can advise you and optimise the machine to suit your requirement, including zip applicator where needed. It doesn’t matter what method you need to use to count, weigh or measure your product to ensure the correct quantity/weight in each bag, again we can advise you and work with you to ensure you use the right doser/multi-head weigher/volumetric filler, etc, with the right packaging machine. Option fit the Reseal 360XM Zip Applicator to any VFFS/HFFS in the LE range or retro fit to most other manufacturers makes when your bags require a resealable closure. Our small footprint HFFS machines are ideal for flow wrapping a wide range of products in both heat seal and cold seal packaging materials. We offer as stock 10, 12 and 14 head combination scale multi-head weighers and can source more specialised machines as required. Which Packaging Machine is Right For Me? Our VFFS Bagging machines are designed to be multi-purpose and can form and fill Quad Seals, Block Bottom bags and Pillow Packs on the same machine. The range of bag sizes they are capable of filling, and the variety of products, coupled with their long life and ease of servicing make our machines one of the most popular UK O.E.M. bagging machines. Their stainless steel construction makes them an ideal wet food machine and the various add on options increase the range of application versatility. However you may find a visit to our VFFS machine overview page useful or, if you wish to ask questions please get in touch. New for 2018! We are now able to take orders for our newly developed VFFS machine. LE360 PDQ – ONE Machine that can produce pillow, gusset, block bottom, quad and Doy style bags! Buying new VFFS machines from Line Equipment and using Line to upgrade/refurb old Sandiacres. Customer Case Study. The new PDQ ‘standard’ and ‘Doy style’ bagger, one machine for multiple bag styles. Customer Case Study. 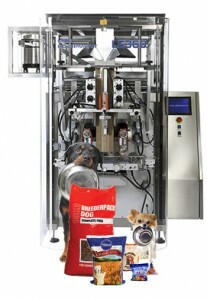 Bagging pasta products on VFFS machines from Line Equipment. Customer Case Study. We are looking for sales agents in various European territories. Long time members of the PPMA (Process and Packaging Machinery Association), Line Equipment Ltd, are past winners of the PPMA Certificate of Merit for Design and Manufacture in packaging machinery.